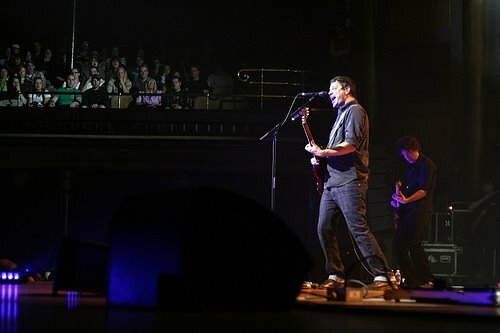 Last night I accompanied some good friends of mine to a Matthew Good concert at the Burt. It was my third time seeing him live, although the first with a full band accompanying him. The show was excellent – we had a good view of the stage, the acoustics in the venue were superb, the opening band was good, and the band played tightly and rolled out an impressive set list (my personal favourites were Giant, Odette and The Devil’s in Your Details). I always enjoy hearing songs besides the usual hits, which are expected, and I thought last night’s set list was especially good in this regard. Most importantly, no drunken idiots spilled beer on us! 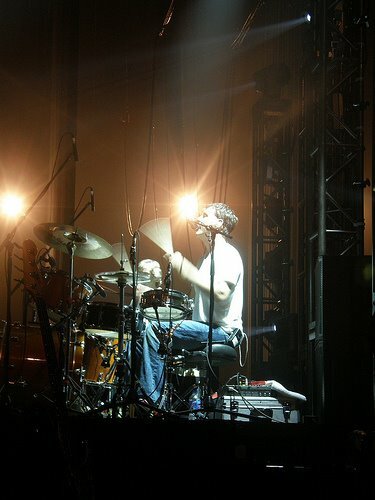 Special recognition goes to Matthew’s backing band of 4, who had never met, let alone toured with Matthew before this tour. They had to learn from scratch and master over twenty of Matthew’s songs spanning his entire career… in less than two weeks! I especially enjoyed lead guitarist Stew’s awesome pedal work, and the lap steel he brought out for a couple songs. A couple of my favourite drum fills were changed but that’s no big deal. The band sounded like they had played together for years. It was just a great evening and was exactly what I needed to completely forget about all the things which have been stressing me out lately. Midway through the band’s third or fourth song I found myself grinning like a fool from ear to ear, just soaking it all in. I simply couldn’t help myself. Music, and especially live music, has always had that effect on me. Each concert really is a completely unique experience every time. 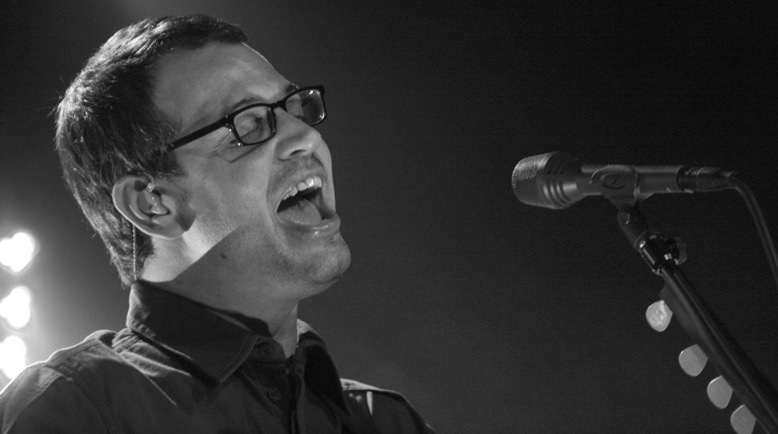 I would go see Matthew Good another three times in a heartbeat. Last night, live music was also an unexpected stress-melter. I guess there’s something in-the-moment about going to a rock concert that just makes you forget about yesterday and tomorrow. Maybe one of the things that draws me to rock music is how “here and now”, how desperate and urgent it is. If you listen to the past forty-odd years of rock n’ roll it will provide you with somewhat of a cultural pulse, a way to gauge what a culture was going through in that particular time and place. Even cities grew their own brands of rock n’ roll – just listen to Nirvana, Pearl Jam and Alice in Chains, all hailing from Seattle and beginning the grunge movement in the early 1990s. Or the blues-rock that often comes out of New Orleans. Of course, the best music has both this sense of immediacy and the ability to transcend the time and culture barrier. Good music is still good thirty years later in another continent. 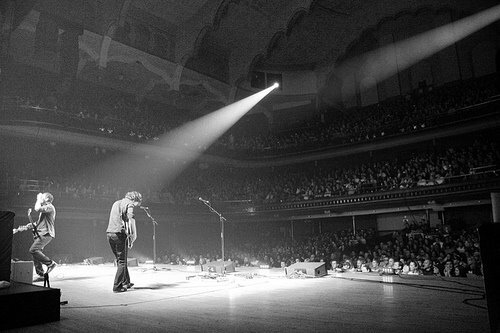 I hope that thirty years from now Matthew will still be looked upon in this manner, as he really is one of Canada’s finest musicians. Here’s last night’s set list. I couldn’t remember the order the songs were played in so I grouped them together by the album they came from, from oldest to most recent. I think I’ve got all of them, but let me know if I missed one. i had no idea none of them had ever played together before! that is incredible. that lap thing that stew played a couple times was by far my favourite thing ever…loved that. and i cannot BELIEVE you remembered all the songs they played. that is just psycho. i definitely agree with the grinning like a fool part. i sang along to so many songs. 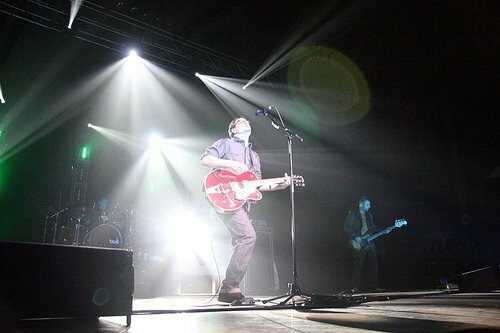 oh man you can’t get much gooder than matt good. dang! i did the pun thing again!